Need a fast appetizer? Open your fridge, open your pantry, and start picking things out. Arrange the food in a beautiful way onto a platter. Add a little of this, a dash of that. You now have an antipasto platter fit for any gathering. And you will look like a hero in a snap! Love that! 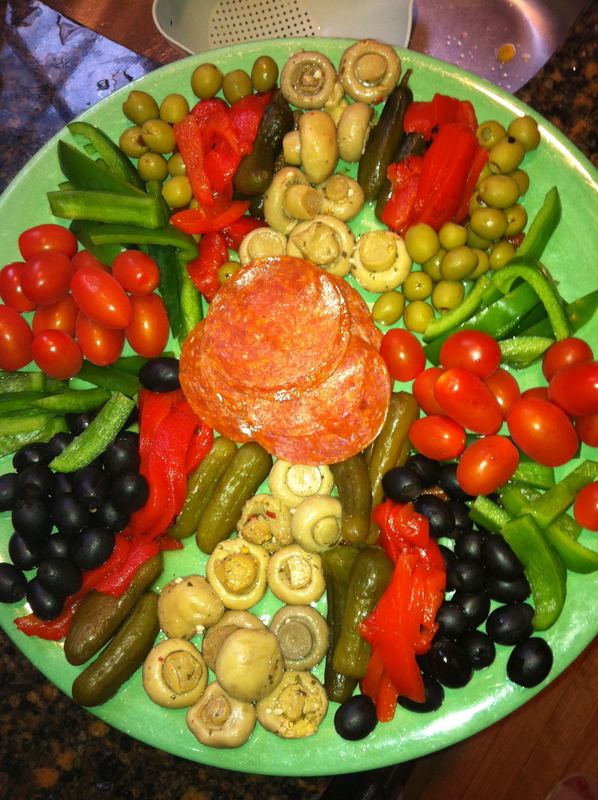 An antipasto platter is a quick and lovely appetizer. A great addition to any get together. Think easy finger food. Tasty tidbits. Savory bites. Succulent scents and vibrant colors. It is a relaxed and rustic, yet somewhat sophisticated appetizer or first course. Antipasto means “before the meal”, so it need not be large. The secret to a good antipatso platter is the presentation. Organized chaos. Anyone can do it. And you will always be party ready if you keep the right staples in the fridge and pantry. Here is a super easy list to pick from, so keep these things handy and you are always party ready! And don’t forget to keep cocktail size napkins and toothpicks in the cupboard as well. These items can be easily assembled and will make a wonderful presentation to any party. So open your door, welcome your friends, and relax. You are always ready for a party!